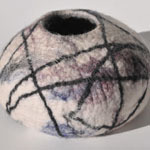 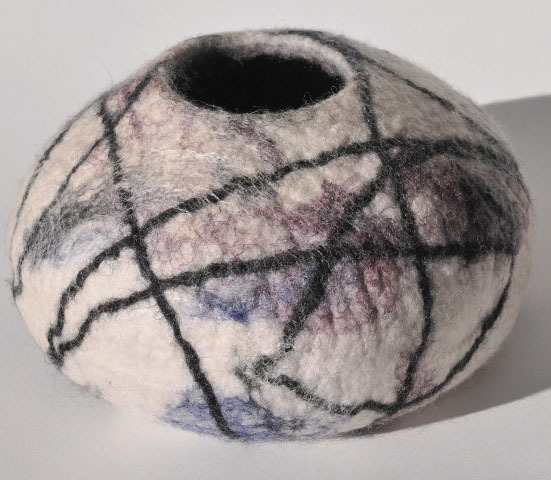 Margaret Jackson is a member of the International Feltmakers' Association and Cleveland Fibre Arts. 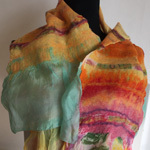 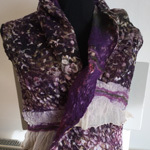 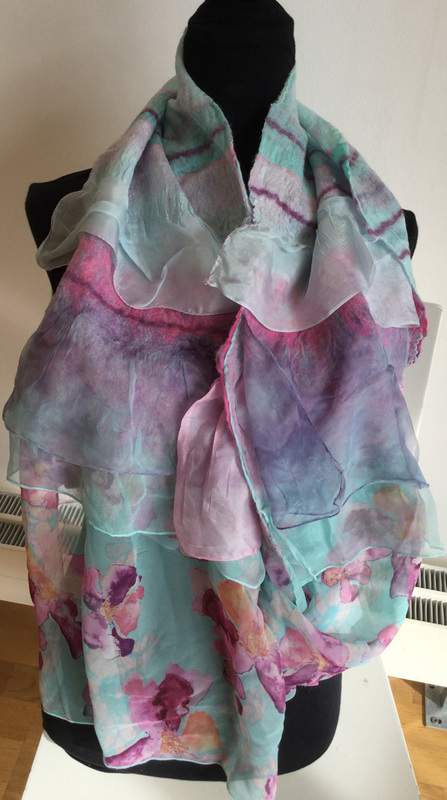 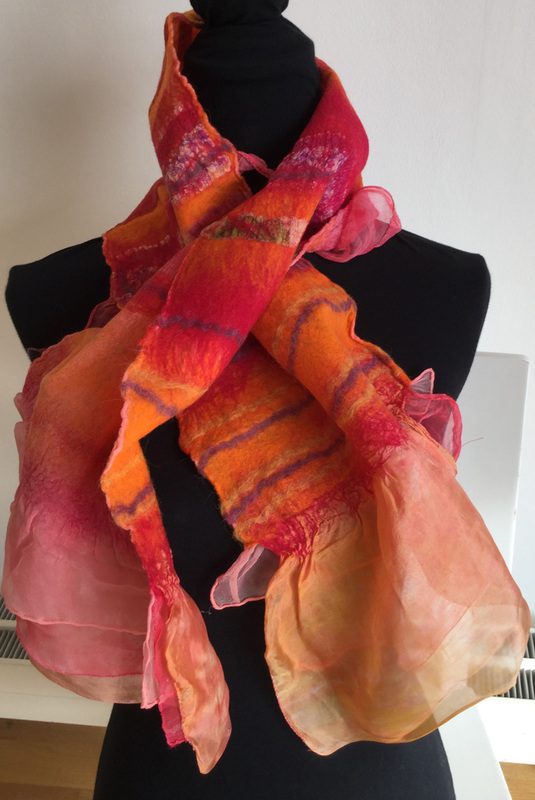 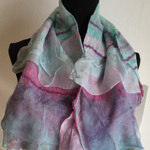 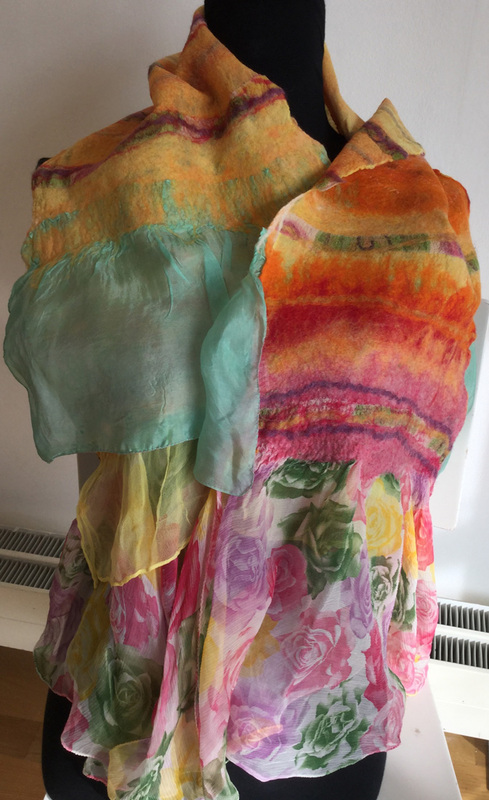 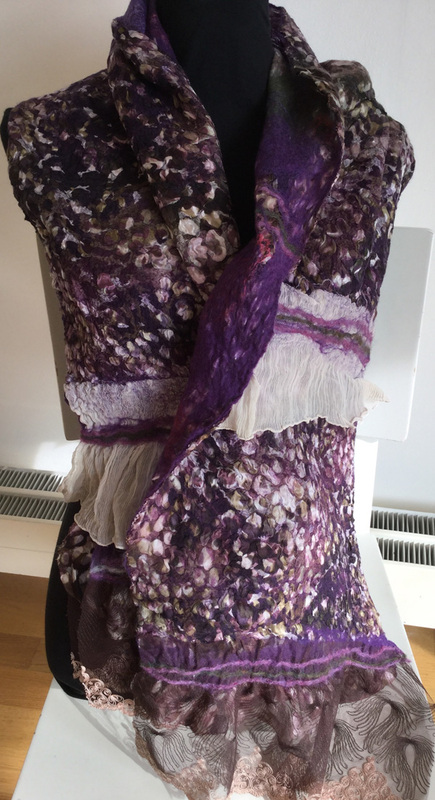 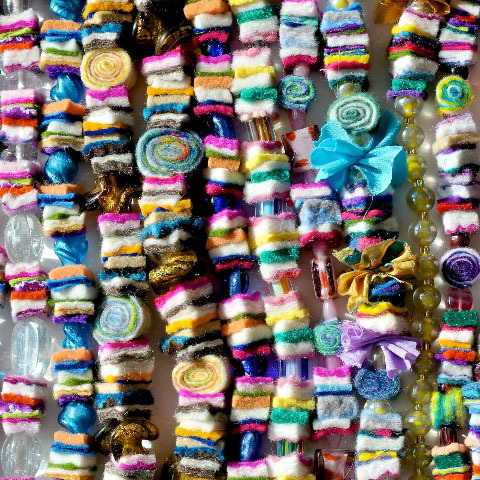 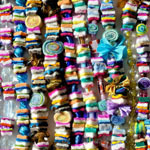 She makes felt bags, scarves, garments, jewellery and pictures. 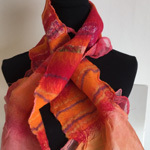 Now working in studio 5 at Saltburn Artists' Gallery, she sells her work there and at Wold Pottery in Loftus.